Information architecture (IA) is an often-overlooked area of website design. Too often, as designers, we just let the CMS we’re using dictate how content for a site is organized. And that works fine as long as the site fits perfectly into the narrow content formats most CMSs are designed around. But too often, a website’s content breaks the boundaries of most CMSs. Without a clear understanding of how information architecture works, we can end up creating sites that are more confusing than they need to be or, at worst, make our content virtually inaccessible. It’s a shame, considering that the basics of good information architecture are no more difficult to learn than the basics of good web design. With good information architecture, we can help provide a good experience for our clients and make sure they leave getting what they expected from their budget. 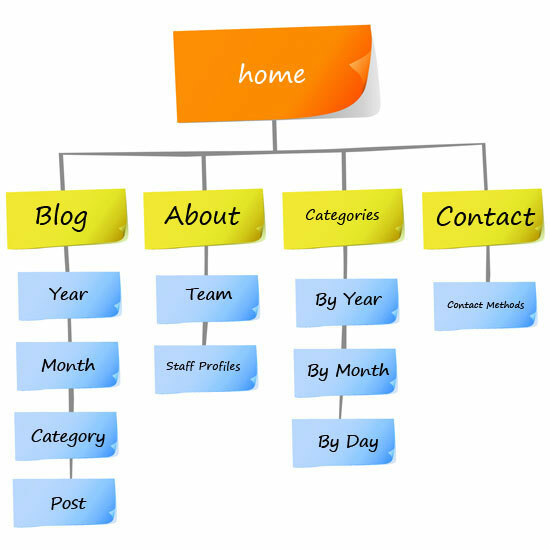 This guide covers the fundamentals of information architecture for organizing website content. We will look into popular IA design patterns, best practices, design techniques, and case examples. There are a number of different IA design patterns for effective organization of website content. Understanding these IA models will help you pick the most appropriate starting point for a site’s information structure, which will eventually lead to less headaches while optimizing your website. Let us talk about five of the most common website IA patterns. This information structure puts all the pages on the same level. Every page is just as important as every other page. 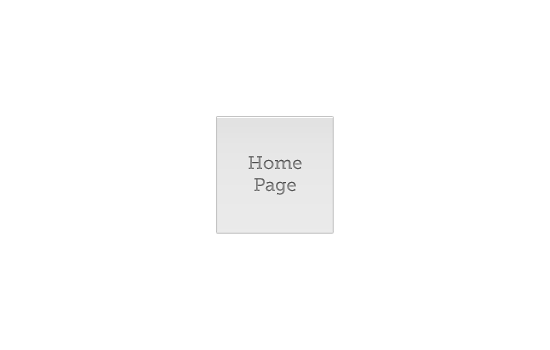 This is commonly seen on brochure-style sites, where there are only a handful of pages. For larger sites with a lot more pages, the navigation flow and content findability gets unwieldy. 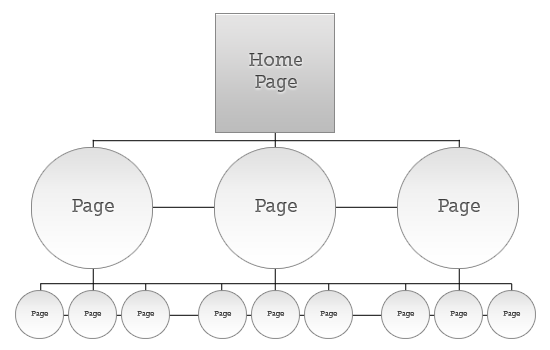 A main page with subpages is probably the most commonly seen website IA pattern. This consists of a main page (we know this more commonly as a “homepage” or “front page”), which serves as a jump-off point for all the other pages. The subpages have equal importance within the hierarchy. 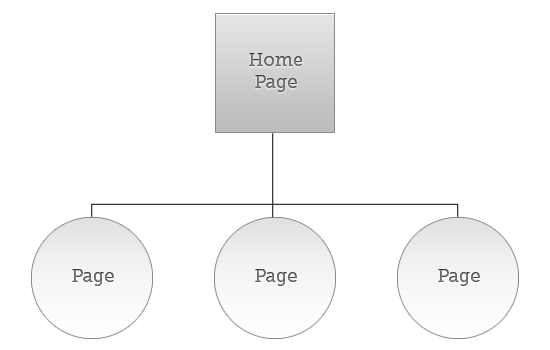 Some websites use a strict hierarchy of pages for their information design. On these sites, there will be an index page that links to subpages. Each subpage (parent page) has its own subpages (child pages). In this pattern, child pages are only linked from its parent page. As an alternative to the strict hierarchy, there’s also the option of co-existing hierarchies. There are still parent and child pages, but in this case, child pages may be accessible from multiple parent pages/higher-level pages. This works well if there’s a lot of overlapping information on your site. You are not your user. As a designer, you have to remember that site visitors won’t have the same preferences as you. Think about who a “site user” really is and what they would want from the site. Researching what your users need and want is one of the most important steps in creating an effective information architecture. There are a number of ways to go about researching user needs. You could get feedback through interviews or experiment with A/B tests and other usability testing methods prior to launch (beta test phase) to see if users are able to navigate your site efficiently. Once you know what your users actually need — rather than just your perception of what they need — you’ll be able to tailor your information architecture to best meet those needs. Every site should have a clear purpose, whether that’s to sell a product, inform people about a subject, provide entertainment and so forth. Without a clear purpose, it’s virtually impossible to create any kind of effective IA. The purpose will vary widely depending on industry. The web design for a realtor, for example, will be much different than that for an online clothing store because they have diffenent goals. The way the information on a site is organized should be directly correlated to what the site’s purpose is. On a site where the end-goal is to get visitors to purchase something, the content should be set up in such a way that it funnels visitors toward that goal. On a site that’s meant to inform, the IA should lead people through the content in a way that one page builds on the last one. You may have sub-goals within a site, requiring you to have subsets of content with different goals. That’s fine, as long as you understand how each piece of content fits in relation to the goals of a site. Creating personas, a hypothetical narrative of your various website users, is another great way to figure out how best to structure the site’s content. In its very basic form, developing personas is simply figuring out the different types of visitors to your site and then creating “real” people that fit into each of those categories. Then throughout the design process, use the people you’ve profiled as your basis for designing and testing the site’s IA. To learn more about personas, read Webcredible’s guide to personas. It’s important that you keep the site’s goals in mind while you’re structuring content. Pick the right IA pattern for those goals. Use goals to justify why the information structure should be the way you designed it. There are a few different approaches commonly used for information architecture design. Let’s go over some of the most popular methods and techniques. 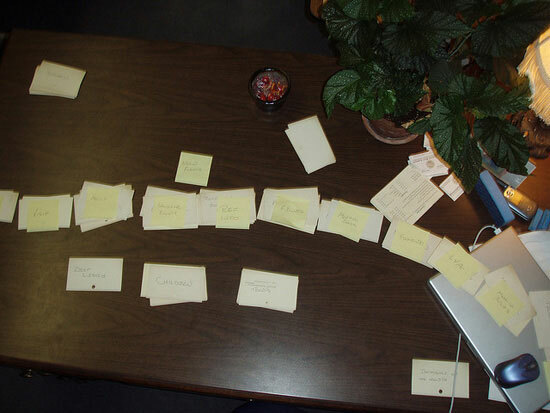 Card sorting is a low-cost, simple way to figure out how best to group and organize your content based on user input. Card sorting works by writing each content set or page on an index card, and then letting users sort them into groups based on how they think the content should be categorized. There are several types of card sorting methodologies. 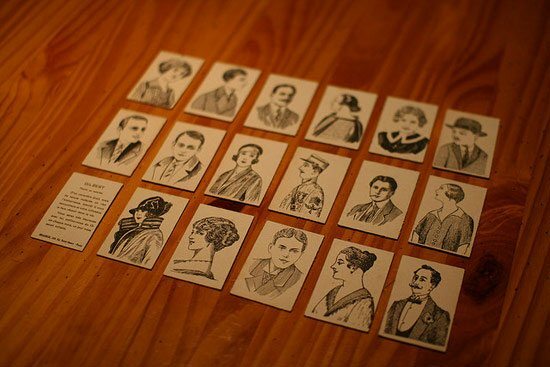 The basic method starts out with cards in random order and users sort them in the way they think they should be grouped. 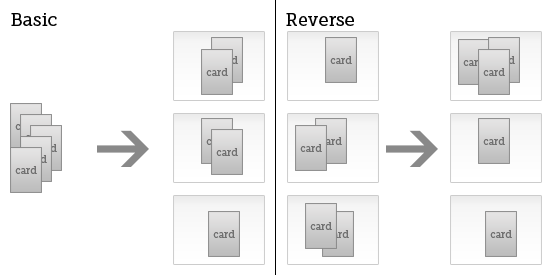 In reverse card sorting, the cards are pre-sorted into groups, and users are then given the task of rearranging them as they see fit. Open card sorting lets users name the groups they’ve created for the cards, while closed card sorting will have group names in which the participant places the cards into. Basic wireframes can do a lot more than just give us an outline of the design layout of a site. It also informs us how content will be arranged, at least on a basic level. Putting content into wireframes and prototypes gives us a good sense of how the content is arranged in relation to other content and how well our information architecture achieves our goals. When you’re wireframing, and especially when you’re prototyping, you should be working with content that at least resembles what the final content of the site will be. Site maps are quick and easy ways to visually denote how different pages and content relate to one another. It’s an imperative step that “mocks up” how content will be arranged. For existing sites or content that must be placed in a website, a content inventory is usually the prelude to this phase. There are two basic styles of information architecture: top-down and bottom-up. The thing that many designers must realize is that it’s useful to look at a site from both angles to devise the most effective IA. Rather than just looking at your projects from a top-down or bottom-up approach, look at it from both ends to see if there are any gaps in how things are organized. Top-down architecture starts with a broad overview and understanding of the website’s strategy and goals, and creates a basic structure first. From there, content relationships are refined as the site architecture grows deeper, but it’s all viewed from the overall high-level purpose of the site. 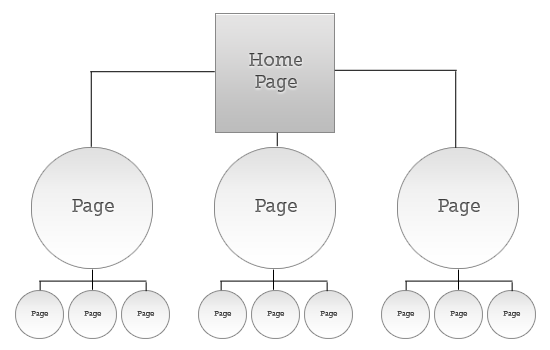 Different websites require different types of information architecture. What works best will vary based on things like how often content is updated, how much content there is, and how visitors use the site. Here are some case examples to show you how content is structured on different kinds of websites. CNN.com is one of the biggest news sites online. They cater to over 20 million visitors a month; visitors from all walks of life. Different visitors will have different goals when visiting the site and varying interests in the news they want to read. CNN.com does a great job of highlighting the biggest and newest stories right at the top of their homepage. Considering that most people going to the website are likely wanting to see recent and breaking news to catch themselves up with the day’s events, it makes sense to give these stories prime screen real estate. But a lot of people visiting the site will also want to see news related to a specific topic (e.g. U.S. news, technology, politics). 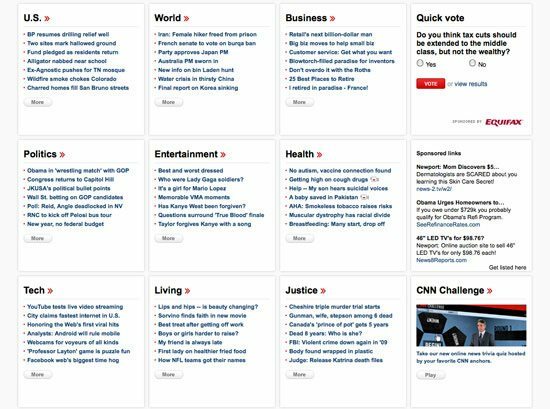 To accommodate this, CNN has multiple content blocks lower down on the page, organized by topic. It makes it easy to find new and relevant news on the most sought-after subjects. There are also links from the top of the page for many sections, including sports, tech, health, and politics. 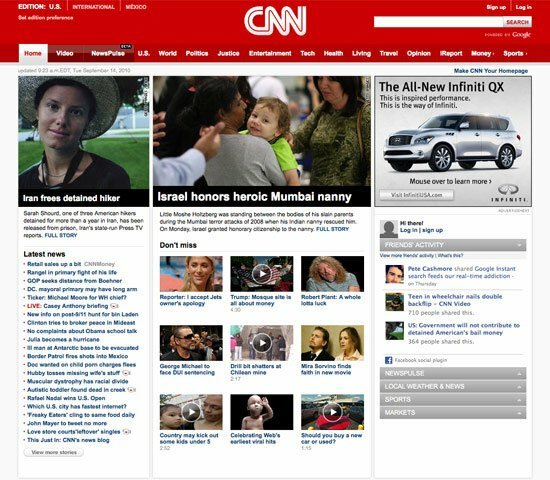 CNN.com manages to organize a lot of content into a relatively small space. The site’s easy to use and the information architecture is intuitive and logical. The website for Coda is one of the more elegant single-product websites out there and it’s obvious they put a lot of thought into how the information on the page is structured. Visitors to Coda’s website are likely looking for a good web design application, and likely already know the features they want. 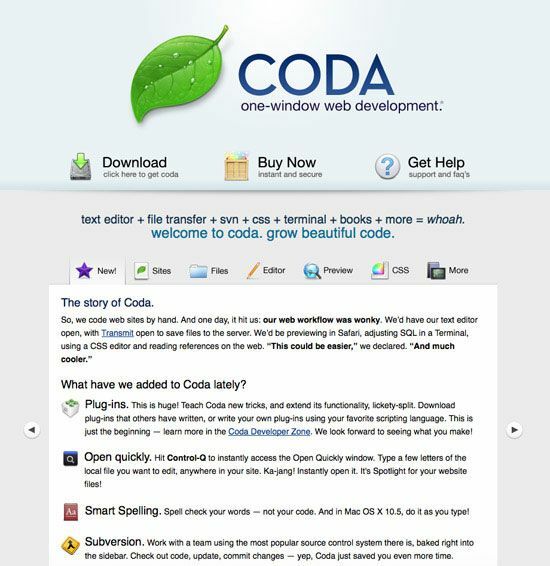 Coda doesn’t need to educate visitors on what web design is or how IDEs work; they assume that the main persona is of a web designer who’s familiar with this type of software and how it works. L.L. 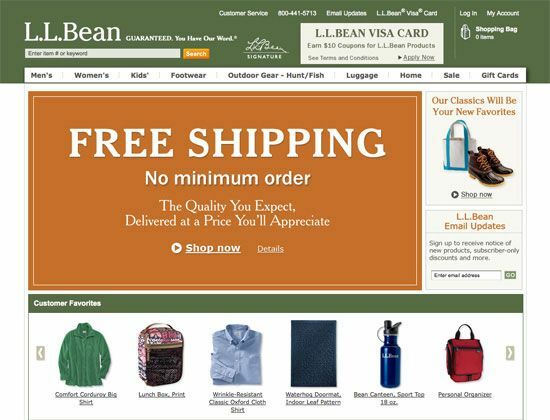 Bean is a huge ecommerce site, with a big inventory of products that’s aimed to a mainstream and diverse audience. L.L. Bean breaks things down by shopper type and product category, with some overlap where it makes sense. For example, the Footwear category has its own spot on the main navigation, but it’s also included under Men’s, Women’s, and Kids’, as sub-navigation items. Doing it this way shows an understanding of how different target customers might shop. It uses hierarchies and prioritization to organize content into meaningful subsets. Beyond the organization of their products, L.L. Bean also organizes their auxiliary pages in a logical manner. Their site map shows just how well information is organized on the site, so be sure to check it out. 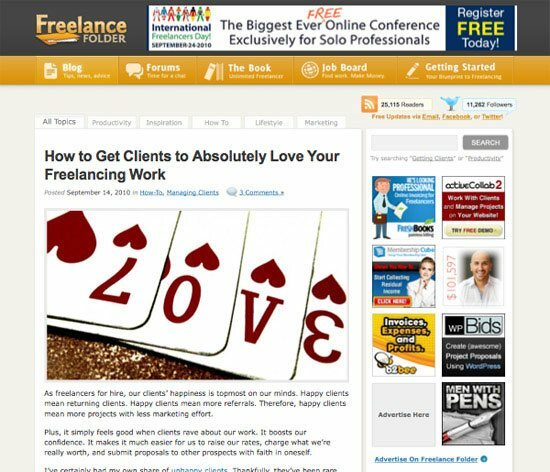 Freelance Folder is a blog aimed towards freelance workers. The site uses the navigation tabs design pattern for the blog’s primary categories on the site (e.g. 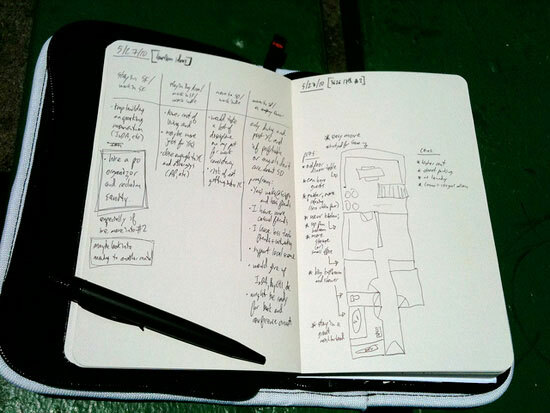 Productivity, Inspiration, How To, and so forth). There’s also a primary navigation bar for different areas of the site (e.g. forums, job board, freelancing guides, etc.). Navigation and structure are kept simple, which enhances the usability of the site. Grouping similar content together in categories is a hallmark of blog IA design. 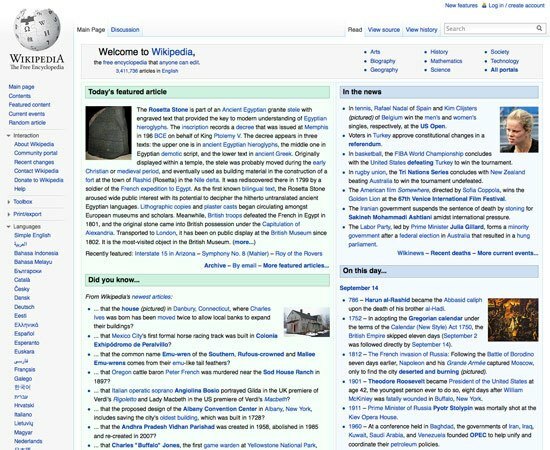 Wikipedia is one of the largest websites in the world in terms of sheer number of pages. As of September 2010, there were over 3.4 million articles on the site. The English-language articles alone would result in 1,439 printed volumes of 1.6 million words each. That’s seven full library stacks. Considering the user-generated nature of Wikipedia, it’s a great feat that the site manages to have anything resembling good information architecture. But, for the most part, the site is organized in a manner that makes it easy to find content. The difficulty of Wikipedia’s IA is that it’s organic, and thus, categories are difficult to set for such an open and malleable system. Any website with that much information will need to rely on search so that users can locate content they’re seeking. In addition to search, the interconnectedness of Wikipedia articles makes it easy to move from one article to virtually any other related article. This in itself makes Wikipedia’s information architecture one of the best online; they understand how visitors use the site and make it easier for them to do what they need to do. Here are some additional resources on IA that are worth reading. Please feel free to share and discuss additional resources, tips, and techniques in the comments. 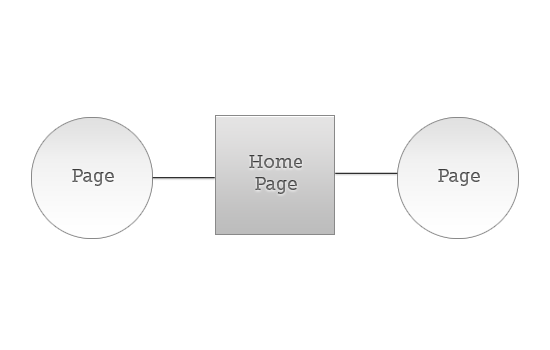 Information Architecture models: Guide to web site navigation patterns. webdesignfromscratch.com.